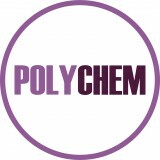 Our Polyester Division was established in 1978, followed by the Chemical Division in 1989. The Polyester production started in 1980 and in 1993, the Nylon and Ethylene Glycol plants were started-up. In 1998 the SBR plant was put on stream, followed by Ethoxylate in 1999. In the same year 1999 we also expanded and constructed the biggest single-plot Polyester plant in Indonesia with a capacity of 300 ton per day, and also started our second Nylon plant.